A genius, George Lucas isn’t always. Star Wars is one of the world’s most popular film franchises ever, but in the years since the first film’s release, the man behind the movies has repeatedly proven that the series became a massive hit often in spite of his wishes, rather than because of them. While this may not be the most super-secret declaration we’ve ever talked about on GFR, it’s worth discussing that Lucas originally rejected Frank Oz as the voice of Yoda, which is arguably one of the most iconic aspects of the franchise. 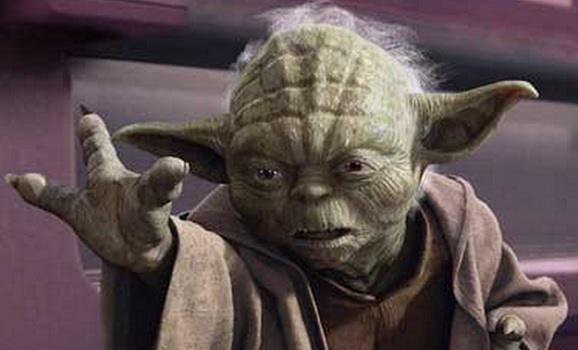 It takes a bit of talent to pull off a Christopher Walken impression, but everybody knows how to sound like Yoda. Listen to Oz describe Lucas’ hesitance in the clip below. As Oz puts it, Lucas wasn’t a fan of his vocal interpretation of the character in the beginning, and we might never have known the character’s throaty voice had Lucas stuck to his guns. (Or blasters in this case.) After initially rejecting Oz’s audition tape, Lucas went on and interviewed other voice actors for the part while The Empire Strikes Back was in post-production. Thinking he had no shot at the film, Oz was presumably surprised when Lucas contacted while on vacation and asked if he’d go out to the Empire set in Hawaii and record the vocal tracks. I think I have an idea of what Yoda would say to George about that initial decision. Oz shared the info with famed British sociologist and radio personality Laurie Taylor for an installment of In Confidence. He wasn’t angry about it or anything, and actually spoke at length about Yoda before and after the admission, saying just how mentally connected to the character he was. Lucas originally only wanted Oz there for his puppeteering skills, a craft he honed with the legendary Jim Henson, who co-designed the Yoda puppet. Oz even came up with a biography for the Jedi master, though presumably nothing of the Ken Burns variety. He also tries to convince Taylor of how unimportant voice work is as compared to the look and personality of a character, using his own Yoda near miss as an example. You can watch the full interview below, which also delves into Oz’s work with the Muppets and his later directorial efforts. Here’s hoping Oz will once again reprise his Yoda role in one of the many upcoming Star Wars movies, whether it’s Abrams’ Episode VII or one of the standalone films. He’s listed on IMDb as being a part of Josh Trank’s spinoff, but know the truth we do not.